Abraham Ortega is #BulldogSTRONG because he has shown GROWTH, demonstrates PRIDE, and lives to SERVE others. Plans After High School: Attend Bakersfield College and work towards becoming a construction manager. 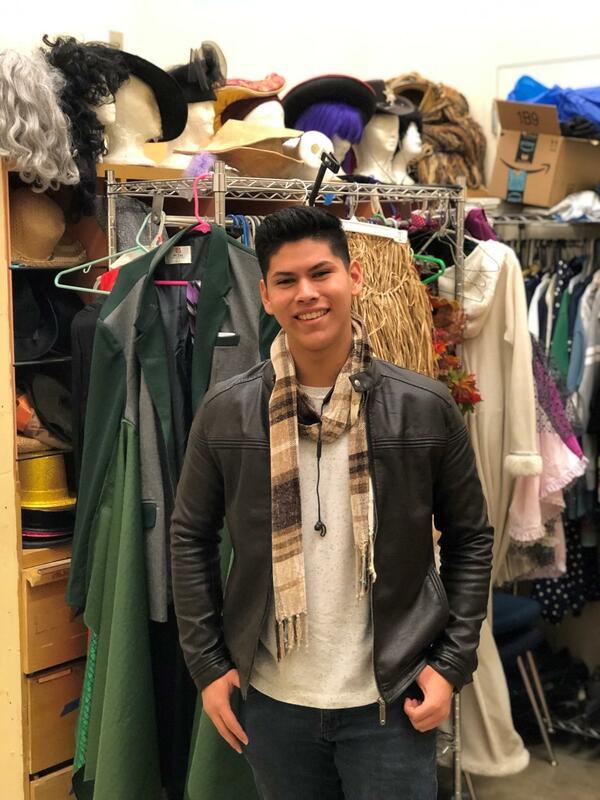 What Makes Him #BulldogSTRONG: Beginning his junior year, Abraham Ortega decided to join drama because he still had yet to find his niche at Golden Valley High School. Admittedly shy and somewhat standoffish, Ortega was excited and interested to be involved with drama, but nervous at the same time because of the idea of performing in front of others. In Beginning Drama, Ortega began to come out of his shell and show tremendous GROWTH. Not only did Ortega demonstrate GROWTH with his confidence to perform in front of others, but he began to GROW into a leader on campus that showed SERVICE to his classmates through kindness, encouragement, and peer support. "When other actors became nervous, I tried to encourage them so that I could calm them down. Theater helped me to GROW into a team player and better person," remarks Ortega. As a result of signing up for Beginning Drama, Ortega performed in A Woman Called Truth. Eventually, Ortega enrolled in Intermediate Drama as well as Video Production as a result of finding a connection with the performing arts department. This past holiday season, Ortega was the co-star in Happy New Year, an original one-act play written and created by Sheila McClure, Theater Arts Director at Golden Valley, and left the audience engaged, emotional, and wanting more. For his part, Ortega has demonstrated his PRIDE as a Bulldog because of his commitment to making Golden Valley a better place. What #BulldogSTRONG Means to Abraham: "Being #BulldogSTRONG not only means to have self dignity and self respect, but it also means to show that same dignity and respect to others. I truly believe that all students at Golden Valley can work and GROW together to become better human beings further showing the importance of being #BulldogSTRONG." "Abraham is truly a shining star on the GVHS campus. His friendliness to staff, students, and strangers alike inspire positivity wherever he goes. From his upbeat guitar playing in the hallways to his unique ability to spark up a conversation with anyone, Abraham embodies service in the classroom, on campus, and in the community." - Jennifer Webb, Teacher, Golden Valley High School.